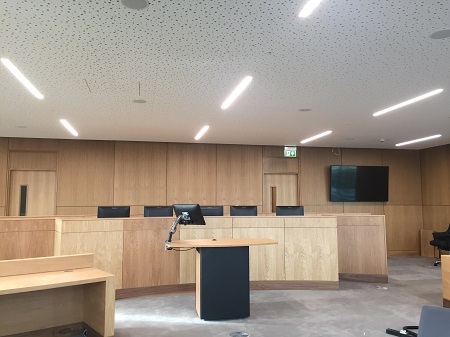 Expansion of the School of Law’s clinical legal education facilities is currently underway as a purpose-built, state-of-the-art Appeal Court is nearing completion in the UL Glucksman Library. The new Appeal Court will be used during the coming semester in conjunction with the School of Law’s existing moot court room for moot court competitions and other events. The Appeal Court features a curved judge’s bench capable of seating five judges, which mimics the style of the Irish Supreme Court and allows students to practice their legal advocacy in a realistic appeal court setting. Similar to the existing moot court room, there is a podium for the students to make their submissions to be bench, bordered by two counsel’s tables. Behind this, there is audience seating, much like a public gallery in a real courtroom. The Appeal Court also benefits from the most up-to-date audio and visual recording equipment to allow moots and presentations to be recorded. 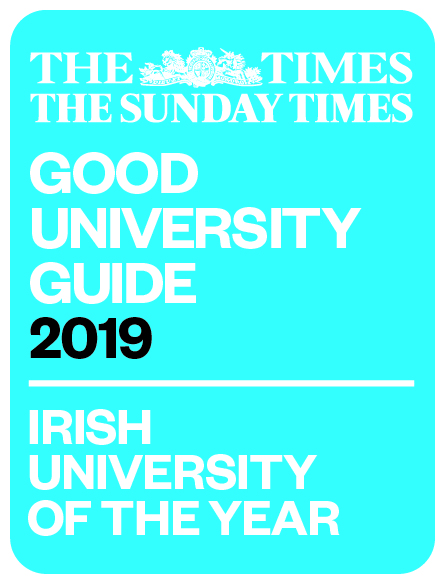 Dr Lydia Bracken, Director of Clinical Legal Education at the School of Law, contributed to the development of the Appeal Court on behalf of the School of Law to ensure that the new facility meets the needs of UL law students and faculty.